In Verizon's quest to kill unlimited data, even customers with "grandfathered" plans are on the chopping block. Verizon will soon force subscribers to ditch their $30 per month unlimited data plans when they upgrade to 4G LTE phones. Fran Shammo, Verizon's chief financial officer, confirmed the news at an investor conference, Fierce Wireless reports. The change in policy will occur after Verizon starts offering shared data plans, which will allow customers to activate as many devices as they want under a single bucket of data. "So as you come through an upgrade cycle and you upgrade, in the future, you will have go to onto the data share plan," Shammo said. In an e-mail, Verizon spokeswoman Brenda Raney said she had nothing to add to Shammo's remarks. Verizon hasn't announced a start date for its shared data plans, but will offer them by midsummer. 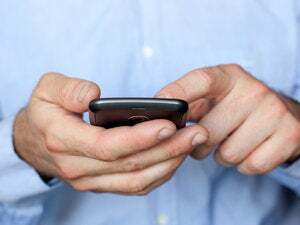 Although the end of unlimited data is bad news for grandfathered subscribers, shared data will likely be a money saver for customers who want to use phones, tablets and hotspots without paying separately for each device. AT&T has also expressed interest in switching to family data plans. It's unclear whether AT&T will start booting customers off their unlimited plans, which are now throttled at 3 GB per month, though I can't imagine the carrier holding out for long after Verizon makes its move. Shammo also remarked on a recent Verizon policy to charge a $30 fee for all phone upgrades, joining all other major wireless carriers in doing so: "We're really not seeing any impact from our customer base from that fee," he said, "so that was the right thing to do."